Amongst the caterpillar identification enquires received in the last few days was this one from Karen. Well, the brown hairs of the larvae in Karen’s photo, shown left, do suggest they are Brown-tail caterpillars. Normally, my advice to anyone having an infestation of caterpillars would be to enjoy the spectacle as they won’t be there long and yes the tree will have had better years but it should recover next year. 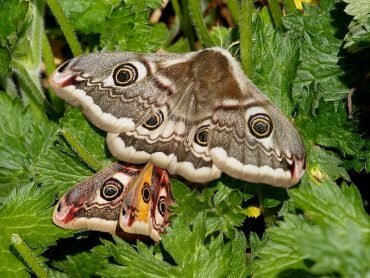 However, Brown-tail larvae and their cocoons have hairs that can be acutely irritating to the skin. Consequently they should not be handled or disturbed. In situations where there are massive infestations in an urban area and there is a risk of their hairs being carried in the wind then local authorities may consider them a health risk and eradicate them. 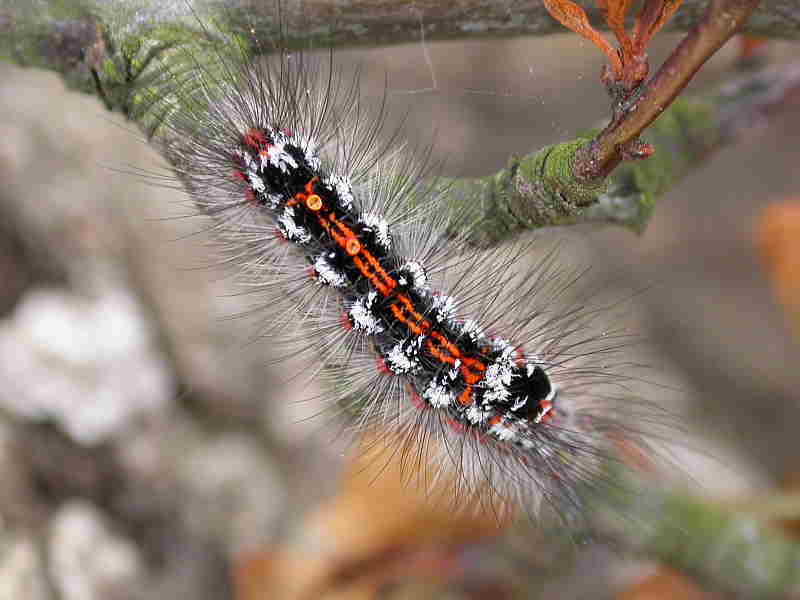 The Brown-tail is also found in North America where there are other hairy and ‘stinging’ caterpillars with which direct skin contact should be avoided. So, as Karen’s caterpillars are in her garden, this may be one of those exceptions where precautionary control of a caterpillar species for safety reasons may be necessary. The similar Yellow-tail Moth caterpillar (shown right) can be mistaken for the Brown-tail caterpillar but does not carry the same pest status. One of the most useful identifying features is that the hairs of the Brown-tail are noticeably browner than the more contrasting greyish and black hairs of the Yellow-tail caterpillar. 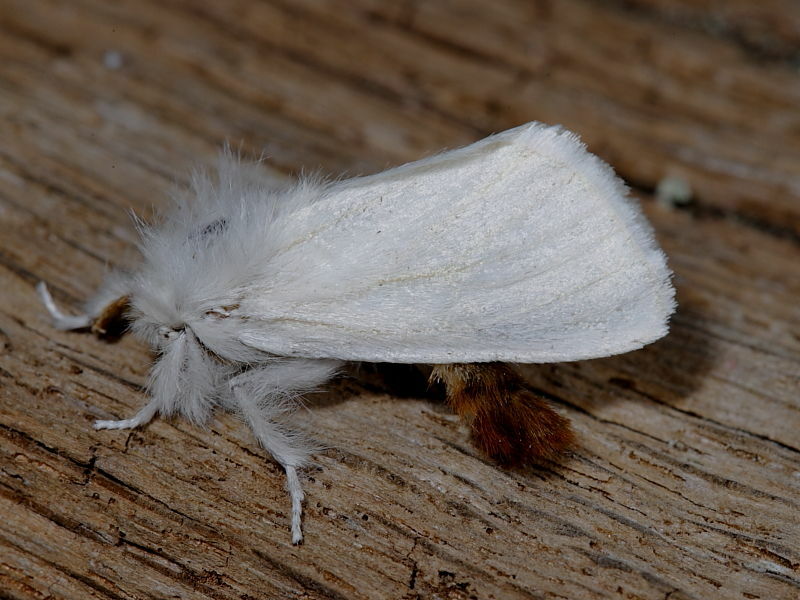 The image shown left is of a Brown-tail moth revealing the brown tip to its abdomen from which it derives its name. 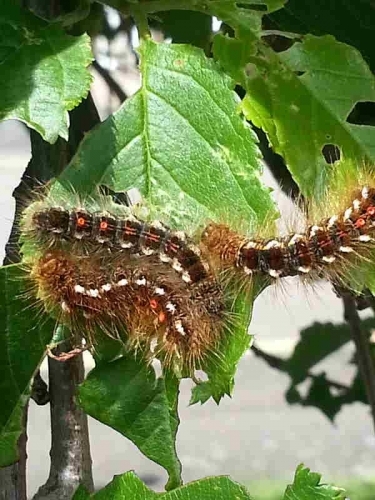 It must be stressed that although some caterpillars in the British Isles can be garden and agricultural pests they are rarely a human health hazard but should anyone have concerns over caterpillar infestations then it is recommended they seek professional advise. Many thanks to Karen for letting me share her photos and experience with others.